*Disclosure: I was sent a free copy of the book in order the participate in this book study. All opinions are my own. There are Amazon Affiliate and other affiliate links in this article which means, at no additional cost to you, we could receive compensation for our recommendations. You can read our full disclosure policy on our Disclosure Page for more details. One of the many benefits from writing this blog has been the amazing people I’ve met. One such person is Deborah Stewart from Teach Preschool. Deborah is an amazing preschool teacher, knowledgeable in all things early childhood, and is always willing to share her knowledge with you and I. Now, she’s sharing her knowledge in a brand-new book Ready for Kindergarten! 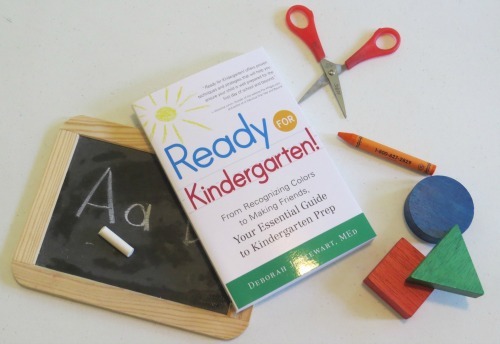 : From Recognizing Colors to Making Friends, Your Essential Guide to Kindergarten Prep. To kick off the book launch, I and several other kid bloggers are participating in a blog book study of the book. I’ve got a 4-year-old who is only one year away from Kindergarten. Even though I’ve walked this path before (my oldest will be in 1st grader this coming year), I still don’t feel all that prepared to send her to school. Deborah’s book will be a big help for us throughout the year. The ideas are play-based and easy to incorporate into everyday life. Even if you only have 10 minutes a day, you can help your child get ready for Kindergarten. It’s important for your child to be able to recognize their name by the time they go to Kindergarten. They’ll need this skill to find their supplies, their seat at a table, or even where to hang their coat. 1. 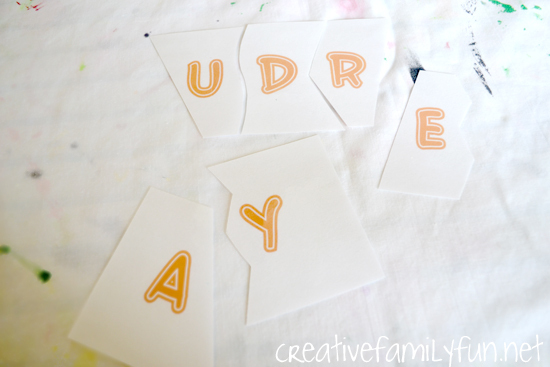 Name puzzles: I made simple name puzzles to help my girls learn their name. My youngest has always loved puzzles, so I thought she would love the challenge of putting together her name. These are very easy to put together. I typed her name in a big, fun font, and then cut into pieces. I cut each letter separately, but you could also cut in syllable chunks. 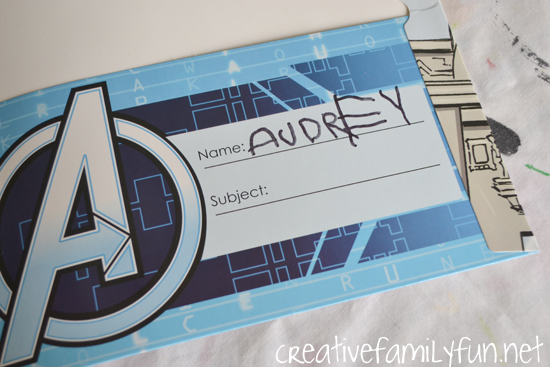 For an even easier version, write your child’s name on an index card and cut between the letters. 2. Letter Tiles: I typed up several versions of my daughter’s name and cut each letter individually. She can sort them or try to spell her name with them. 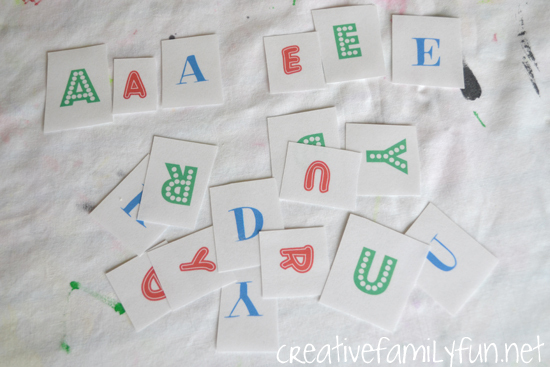 If you don’t want to make your own letter tiles, use Scrabble tiles or magnetic letters and isolate just the letters needed to spell their name. For a super-simple version of letter tiles, write each letter on an index card. 3. Display it! 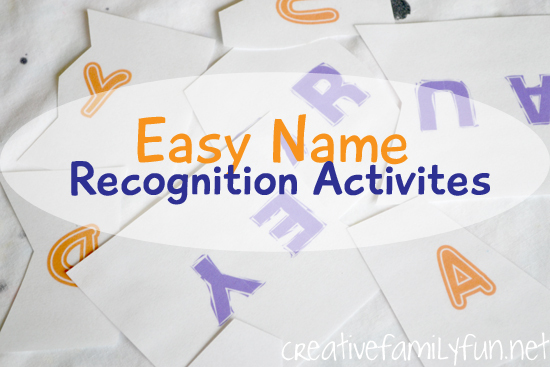 This is probably the simplest and most important way to help your child recognize their name. Label things. My daughter helps us write her name in folders, notebooks, letters, or cards. Label your child’s coat or shoes. Hang name art in their room. Write their name on the back of their artwork. Keep exposing your child to her name in simple, everyday ways and she will be able to recognize her name well before she walks into that Kindergarten classroom for the first time! Thank you Deborah for the opportunity to review your book and participate in this blog book study! If you have a preschool-aged child, this book is a perfect reference. Believe me, you won’t feel overwhelmed with buckets of things you need to teach your child. Instead you’ll feel empowered. Deborah offers easy, achievable ideas that don’t involve worksheets or workbooks. Yes, you can get your child Ready for Kindergarten!